1. The day before or ahead of your cooking, place the onion and banana peppers into the MEDIUM container. Pour the tomatoes with their juices also into the same MEDIUM container, and crush with your hands, leaving a bit of texture. 2. Place the garlic, cumin, paprika, and cinnamon into a MINI container. Place the green beans and bay leaves into a MEDIUM container. Place the olives and basil into an MINI container. 3. In a Dutch oven, heat the oil over medium heat. Add the onion and peppers and cook until wilted, about 10 minutes. 4. Once the vegetables are wilted, add the garlic, cumin, paprika, and cinnamon and cook until fragrant, about 1 minute. Add the green beans and bay leaves and toss to coat in the oil. Raise the heat to medium-high and add the tomatoes. Add ½ cup water. Bring to a simmer, cover, and cook for 15 minutes. 5. 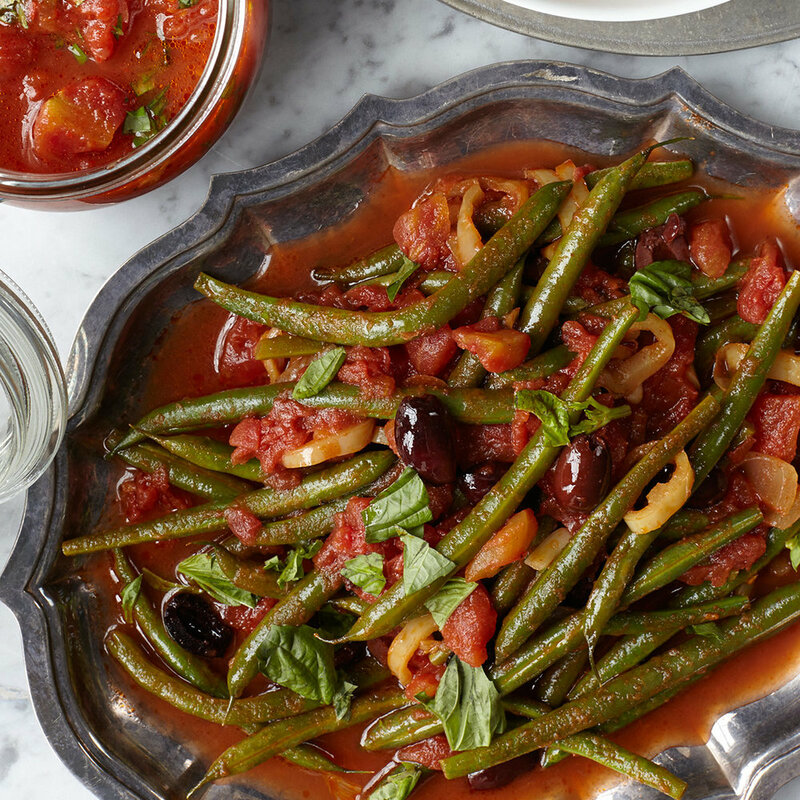 Uncover, stir in the olives and basil, cover again, and cook until the sauce is thick and beans tender, about 15 minutes more. Remove the bay leaves and serve hot.